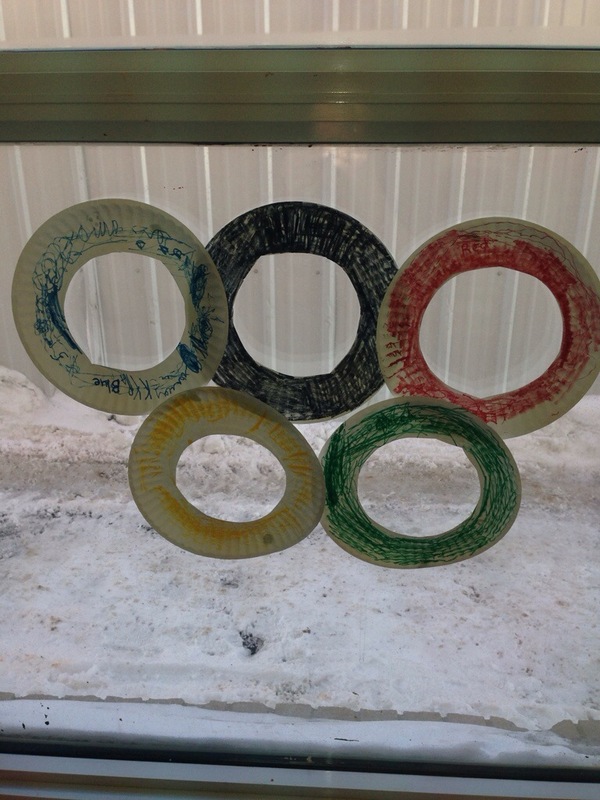 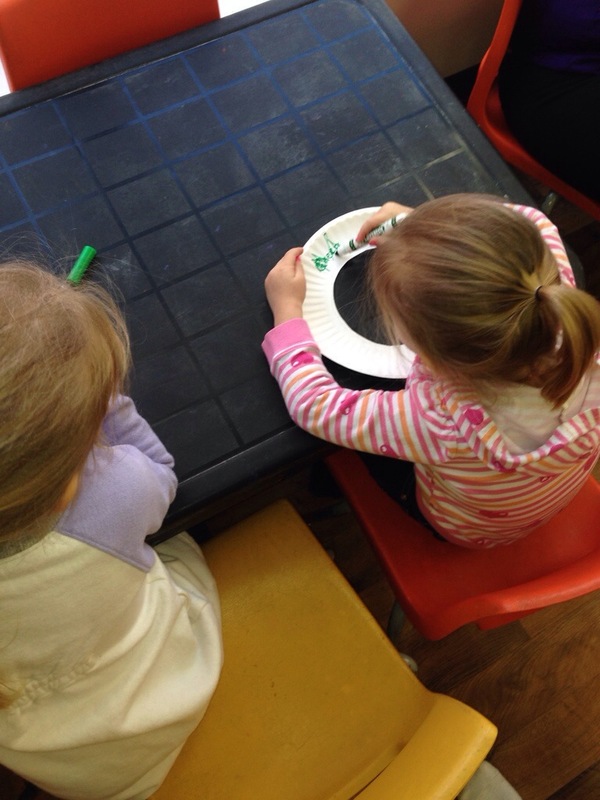 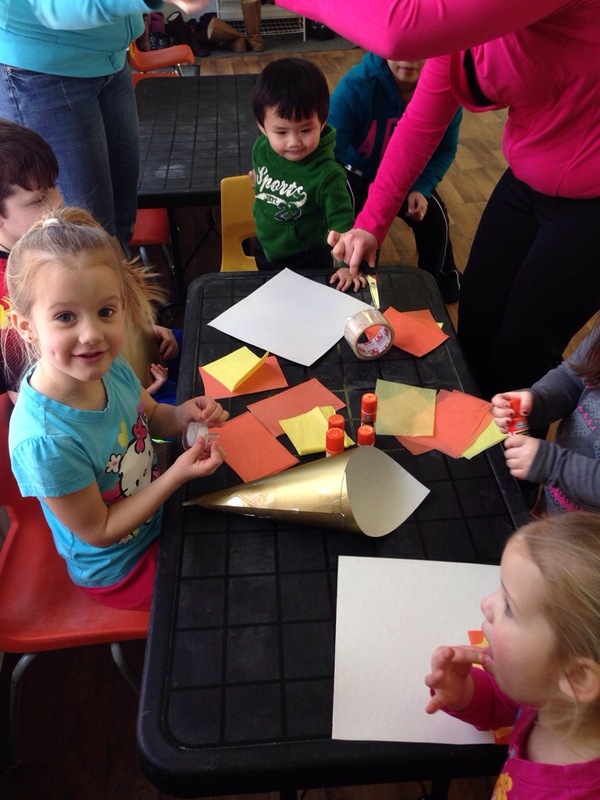 With the Winter Olympics coming up in a couple of days, the theme at playroom this week was Olympics. 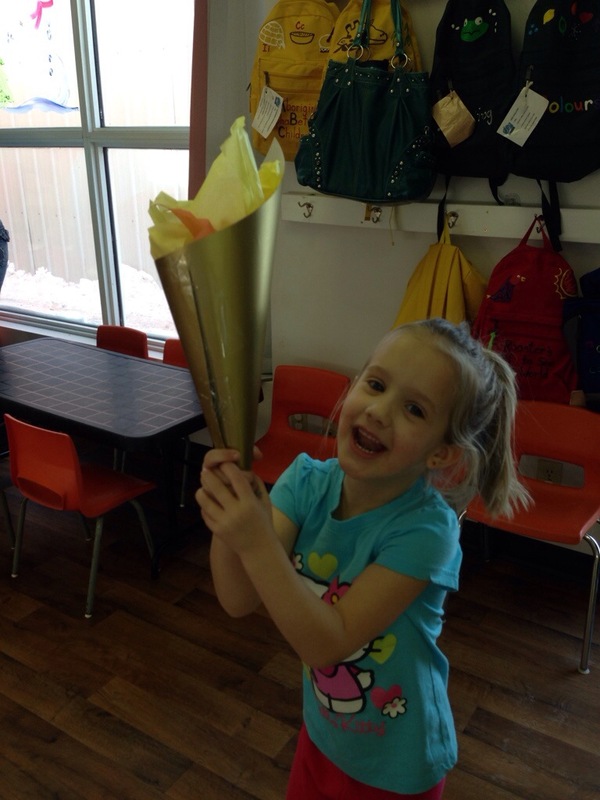 We made olympic torches and the Olympic Rings. 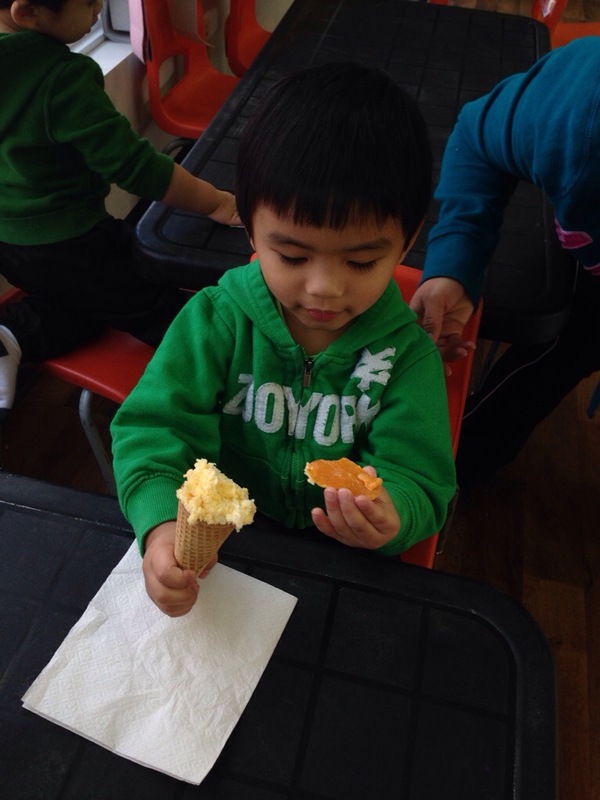 Our snack even looked like a torch.